When I very first started this blog, I had every intention of using it to share fashion and style posts. 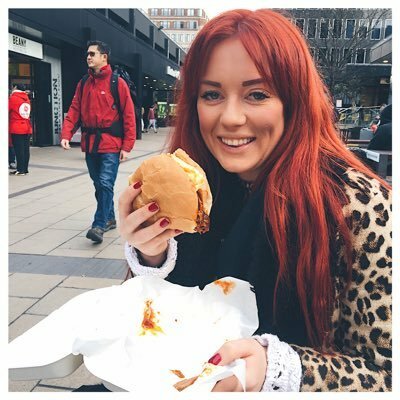 I first got 'into' blogging reading fashion blogs by the likes of Lily Melrose and Lily Pebbles but I quickly found that I was much more comfortable writing about food and restaurants, than I was standing in front of a camera myself. 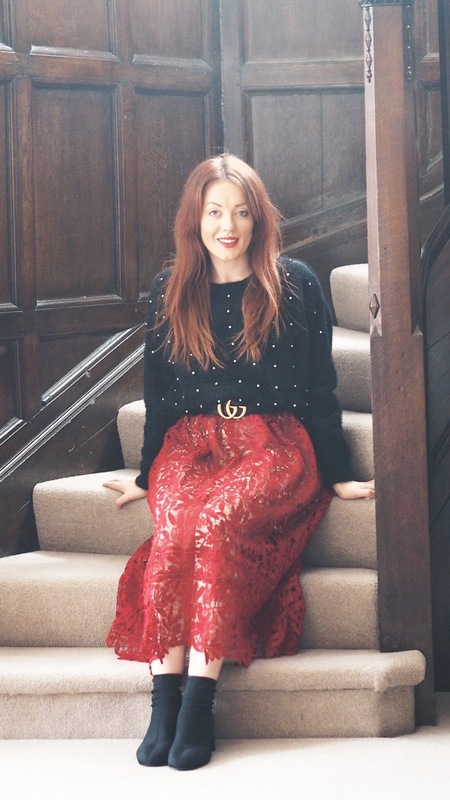 Despite this, I've always been really passionate about personal style - and I say this all the time - but I really want to try and showcase it more on my blog. I've started sharing more outfit photos on Instagram and I took all the photos in this post myself with my trusty tripod and self-timer so let me know what you think of my efforts! So this first look is pretty much straight off the hanger - how the dress was intended to be worn. It's got really delicate straps, a gorgeous raw lace hemline and pleated silhouette - oh and did I mention it has POCKETS! It's perfect teamed with a pair of strappy heels for a party or wedding and the dropped waist is super flattering too. As the dress is super feminine, for this next look, I've toughened it up with a leather biker jacket and black sock boots. I love pairing pretty dresses with jackets and flats as an instant way of making them more wearable. It means you get way more milage out of an outfit as you can wear things you'd usually reserve for nights out during the day. It's also still 'dressy' enough that you could wear it on 'date-night' or out to dinner but without looking too 'formal'. Finally, my favourite way of styling this outfit. 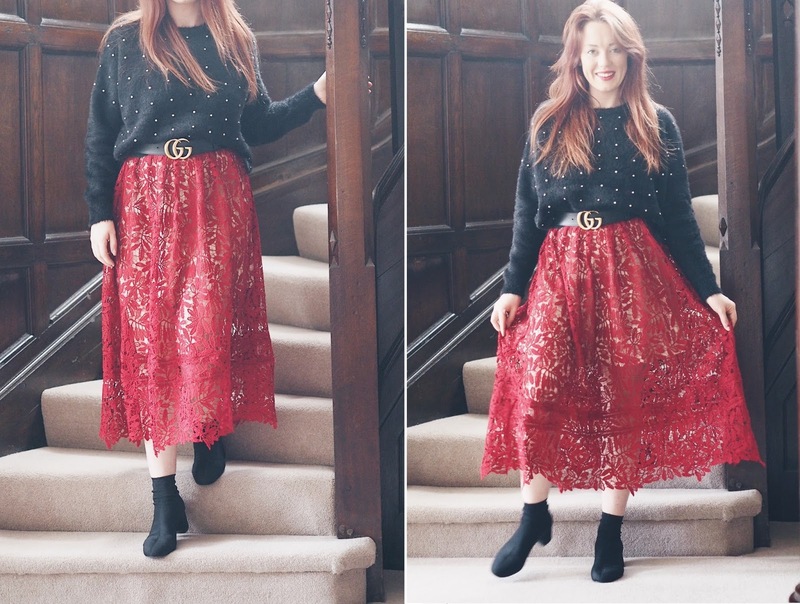 I love layering jumpers over dresses so they double up as skirts - it's the easiest way of getting more wear out of them and people hardly ever notice that you've worn it before! I would totally wear this outfit to work or to go shopping with my friends. This is also the simplest way of taking an outfit from day to night as you can whip your jumper off and add a pair of heels then you're good to go! Which style is your favourite? Let me know how you would style this dress in the comments section below! Oh, I absolutely love this dress! Especially in the last two looks it is absolutely stunning! It just goes so insanely well with black which I wouldn't have thought just looking at it!